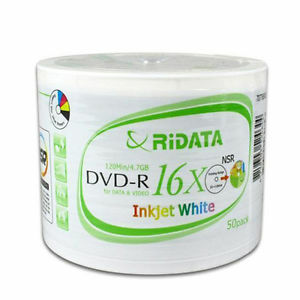 RIDATA Inkjet Hub Printable DVD-Rs improve upon the optical media classic. They burn 4.7GB (120 minutes) at a rate of 8X or 16X with the added bonus of personalization using your inkjet printer. 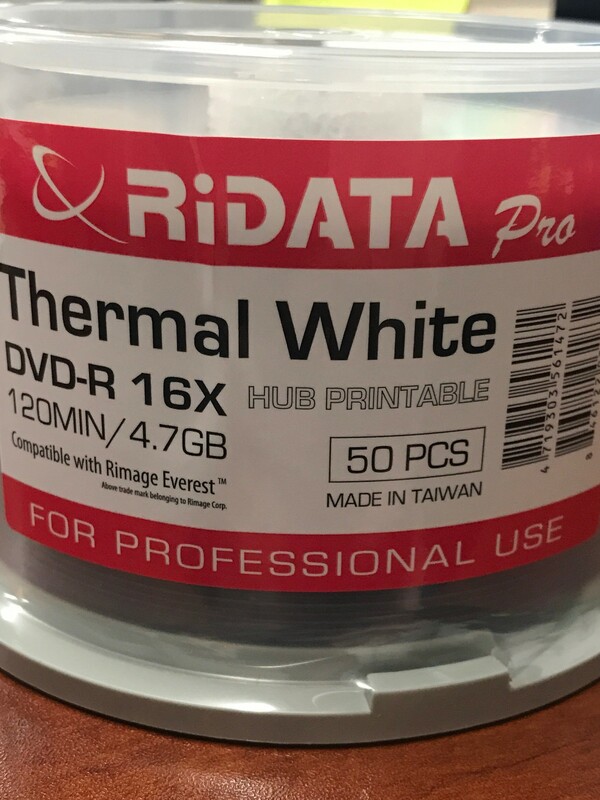 RIDATA inkjet printable DVD-Rs come in both normal face and non-stacking ring styles to make professional customization a hassle-free experience. RIDATA inkjet printable DVD-Rs are ideal for massive archival storage, duplication, network back-up, multimedia presentations, scrapbooking and digital video/photography editing that needs to be quickly identifiable and archivable. Clearly label your discs in vibrant, full color to safely store your favorite data, audio or video. 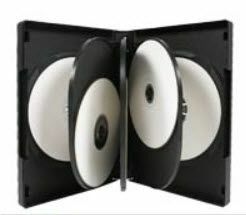 Businesses can use printable discs as data storage or as a presentation, sales or marketing medium.